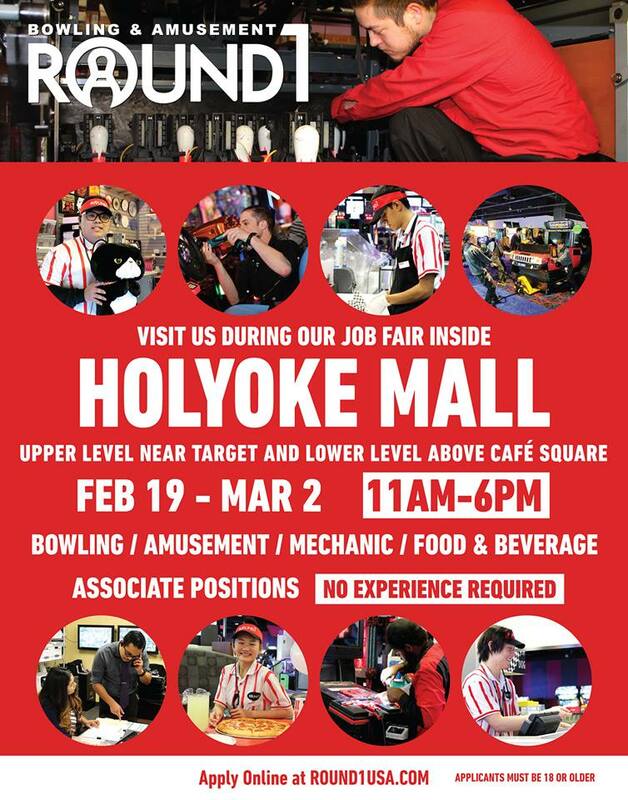 Holyoke Mall’s newest entertainment venue, Round1, is set to host a job fair from February 19 to March 2, 2019, with the goal of hiring 80 to 90 new employees. Round One Entertainment, Inc. operates multi-entertainment complexes offering bowling, arcades, billiards, karaoke, ping pong as well as bar and dining. It originated in Japan and started expanding to the US market in 2010 with the first location in California. Round One Entertainment, Inc. is headquartered in Brea, CA.